Lesley Anne Ivory is back, exhibiting in London once again with Chris Beetles of St James in London. Lesley and Chris last exhibited together in 1988 and so this exhibition offers Lesley's fans and cat-lovers alike the opportunity of viewing highly wrought images that surprise and delight . 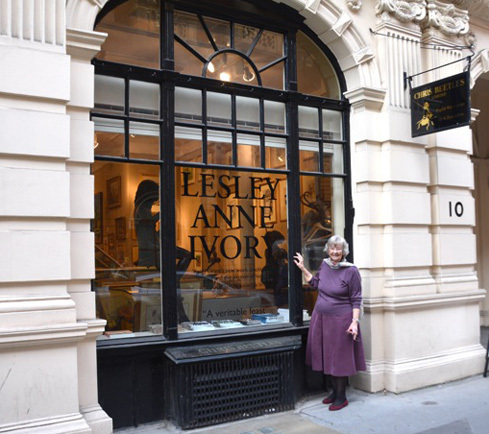 Between 21st October and 14th November 2015, Chris Beetles is exhibiting the largest collection of work by Lesley Anne Ivory ever seen in public at one time. The Retrospective draws together for sale over 120 of Lesleys unique paintings spanning over 12 years' work. Catch it while you can! These artworks are jewels melded into the complex settings of real life from ancient civilisations to curvilinear modernity. This is work of a very high order and puts her in a class apart. She is the Portrait Laureate of Cats, each picture a special event, as she captures and celebrates the supercilious beauty of cats, their caprice, their curiosity and their cunning. As a cat artist she is peerless. In 1988, Lesley and I put on the first of many successful exhibitions together. Now, with this remarkable show, displaying 12 years of intense creativity, she still has the ability to make me catch my breath at the beautiful sheen of her artwork, to marvel at her intensity and to applaud her relentless novelty and invention. 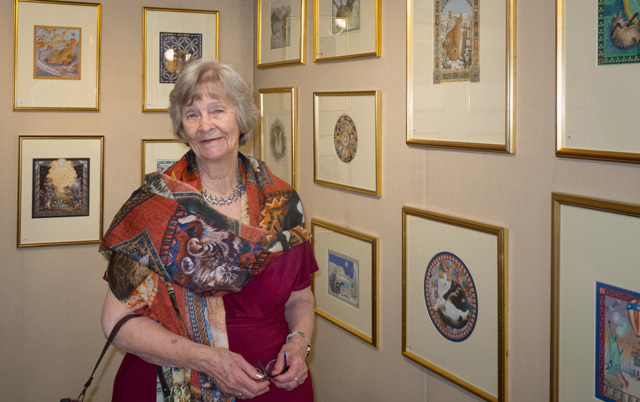 The exhibition was opened on 20th October by Dame Mary Archer, a lifelong cat lover and commissioner of Lesley's work. As someone who clearly understands and maintains a special bond with cats, Mary Archer's own reflection on the human bond with cats proved to be the purrfect curtain raiser for the twice-in-a-lifetime exhibition.